We all love to make a statement but sometimes it comes time for inspiration for your everyday looks. 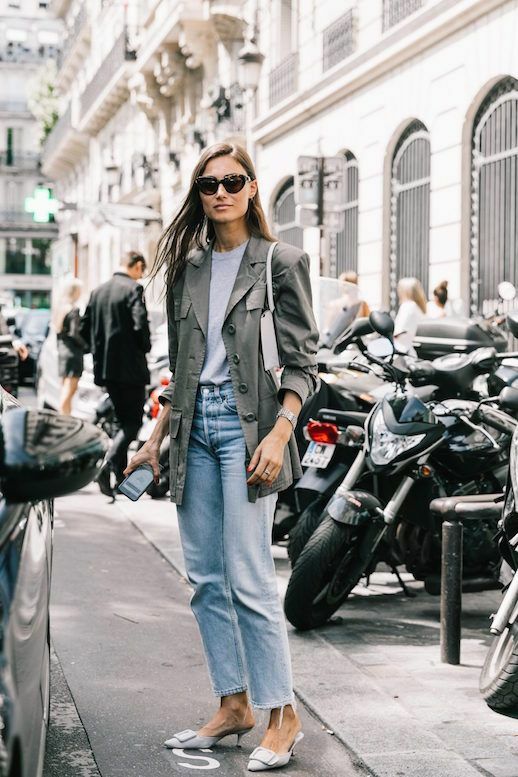 This street style look from Giorgia Tordini is foolproof and polished with a gray blazer, lighted gray t-shirt, vintage straight leg denim, and a pair of matching kitten-heeled mules. You can't go wrong with this one.